CAST Café Geographic series screens documentary Expedition to the End of the World, a true adventure story for the 21st Century. 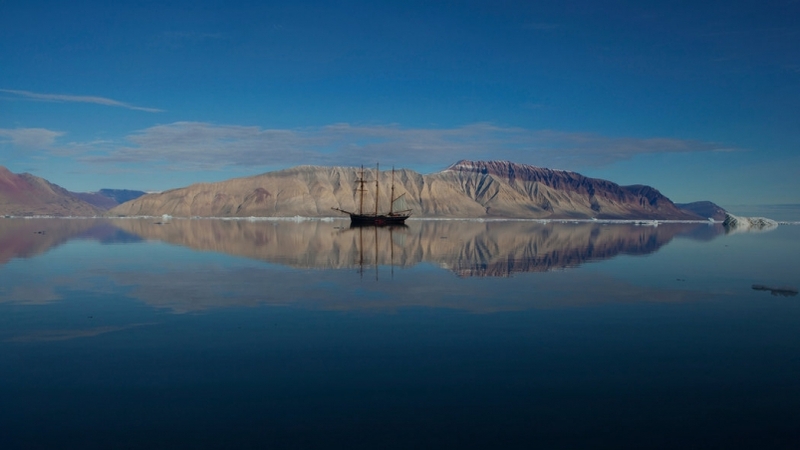 A three-masted schooner packed with artists and scientists, with ambitions worthy of Noah or Columbus, sets off for the end of the world: the rapidly melting massifs of North East Greenland. In their encounter with unknown parts of the world, curiosity, grand pathos and a liberating dose of good humour come together in a superbly orchestrated film. Producer Michael Haslund was invited aboard the good ship Activ bound for the vast fjord system in Northeast Greenland to make a film from the expedition, a project that culminated in a feature film with Daniel Dencik as director, Janus Metz as executive producer, and Michael Haslund as producer. A CAST Café supper will be served beforehand from 6pm, something hot and something sweet for £5.